The studio is getting cleaner, but I’m still far from done. I’m afraid I’m having to undo years of bad stashing habits. Creating new strategies and new systems is taking longer than I’d like. I am, however, determined not to stash anything this time around. In the meantime, here are the second five books that have earned shelf space on my new, cleaned out, bookshelf. In case you’re wondering about the first five, here are the “How To” Books That Deserve Shelf Space #1 from last week’s blog post. This book has outstanding diagrams and clearly labels everything. Excellent for a beginner and a good reminder for experienced artist. There are also several box structures that I find useful such as this portfolio, below. Apologies for the bad photo, the glossy black page and my studio lighting were not making friends, you get the idea. This book is probably in my top 5. 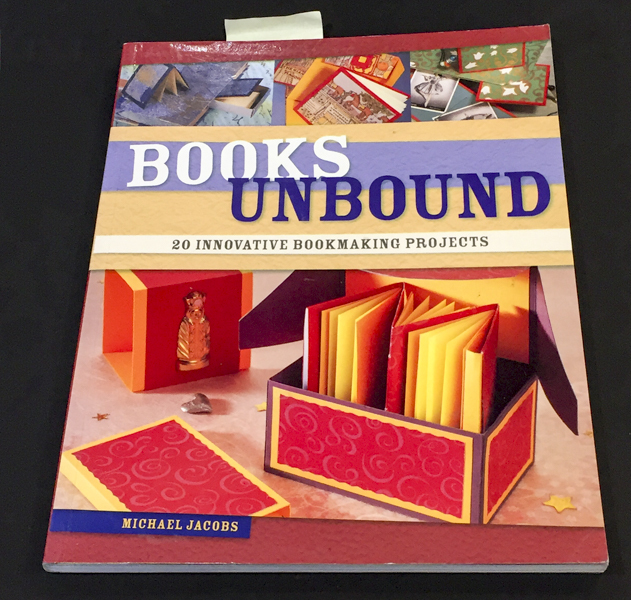 It does not have the clearest instructions and he does not use the best materials, but Michael Jacobs approaches bookmaking from a sculptural standpoint and the books and boxes he creates are truly unique. 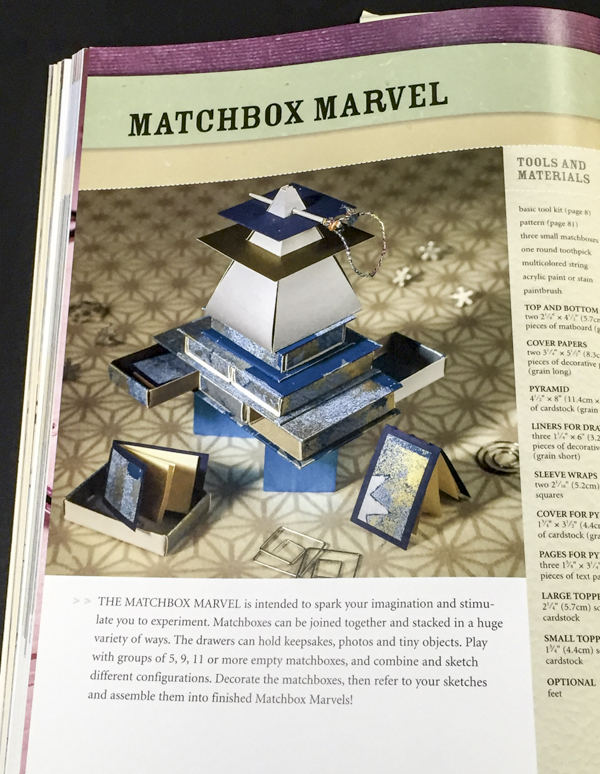 The Matchbox Marvel, above, is typical of his enthusiasm to combine book structures and boxes into interesting shapes and variations. 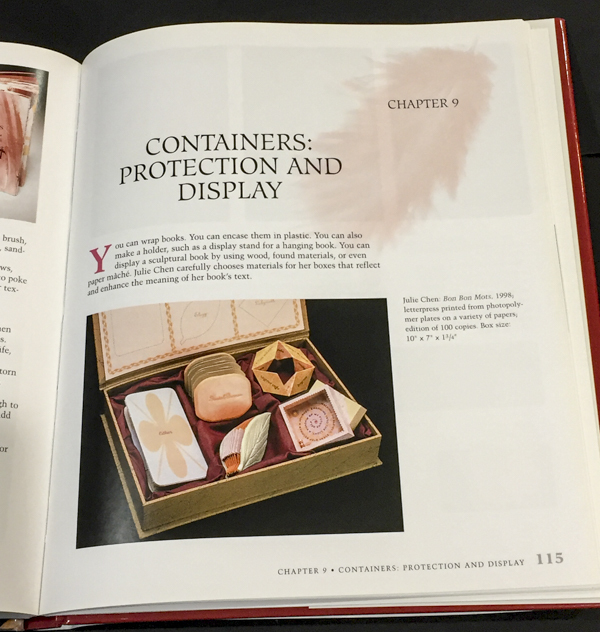 His Specimen Book, below, is one of my favorites. I’ve made this as a gift a few times. It is always a hit. A wonderful way to highlight a treasured (small) item. This book is the most comprehensive on my shelf. 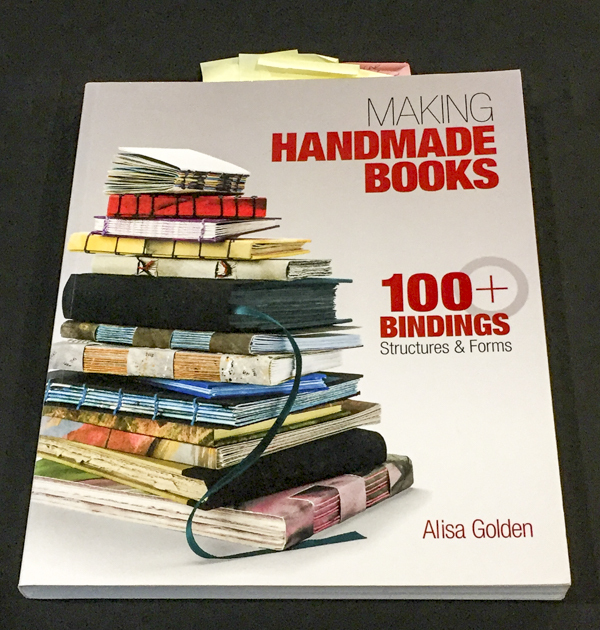 If you’re only going to own one “How To” book on making handmade books – this is it. From basic accordion books to basic pop-up and move-able books, you can find something here to fit your ideas. If if you use scrap materials and patience, you can teach yourself any of these bindings or boxes. 235 pages of instructions, diagrams and ideas! You’ll notice the next two books are also by Alisa Golden. 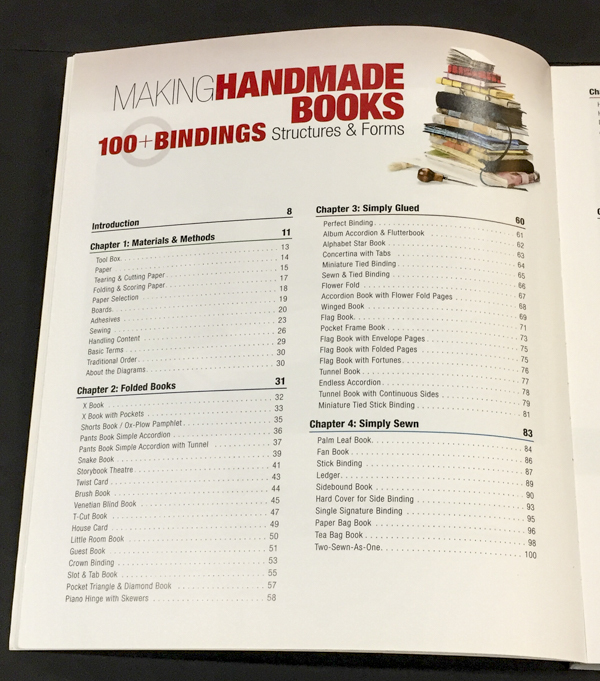 There is a lot of overlap with the Making Handmade Books, above. 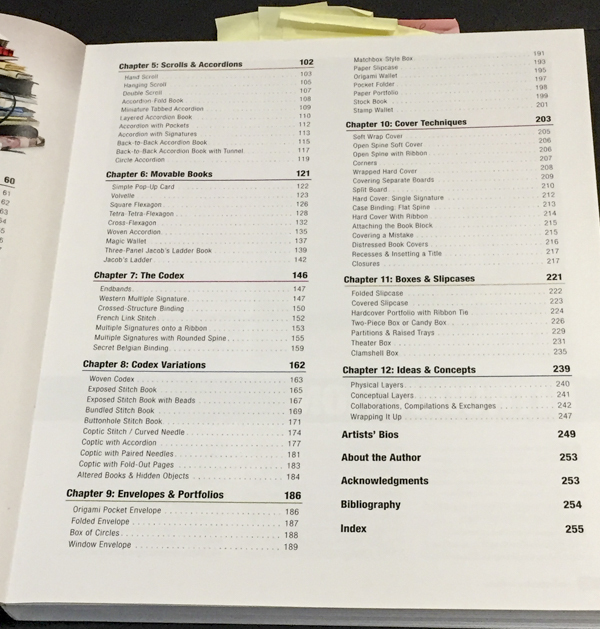 Virtually all of the instructions and diagrams from the next two books are in the 100+ book. So… I wouldn’t recommend buying them, too. Unless you find them for a great price. What makes them worth having are the gallery/example photos that are not in the Making Handmade Books. I’m still debating whether they have enough value to stay on the shelves. But for right now they’ve earned a spot. When that shelf begins to overflow again, these are the first two I’d reconsider. One more set of five to finish out that shelf and then we’ll move on to some other topics. In fact, I’m looking forward to my husband, Greg, writing some guest posts. One on lighting, which we’ve just redone in my studio and one on what it’s like to be in his role as a support system and collaborator for an artist. 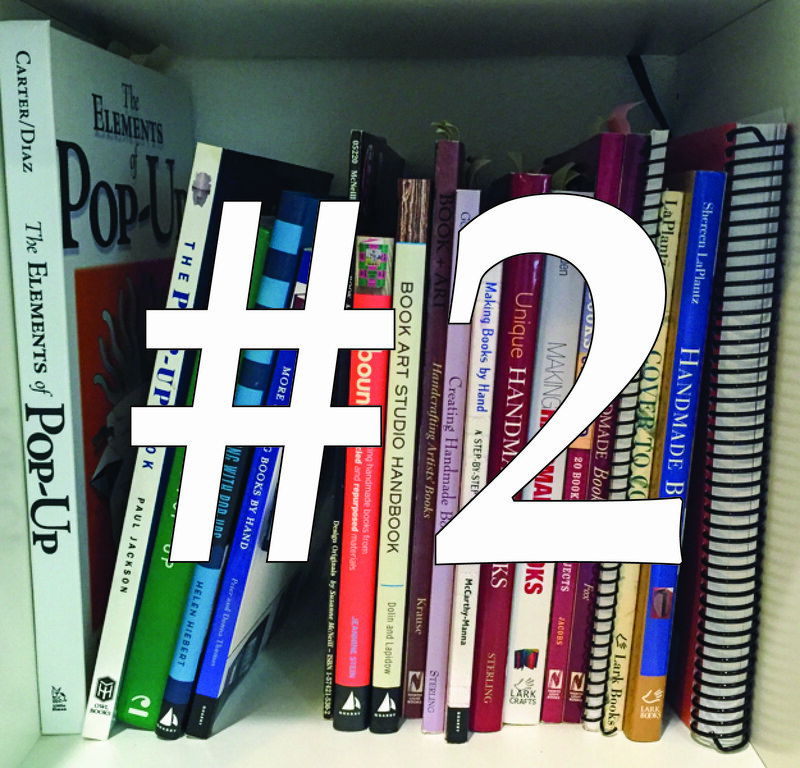 You may have noticed that I haven’t talked about the Pop-Up “How To” books in that shelf cubby. I’m saving that discussion for November when the Pop-Up Now Exhibition opens at 23 Sandy Gallery. Do you have a “How To” Book in your studio that I should have in mine? Give me some of your recommendations in the comments! I’m in the middle of my studio clean out. It definitely got worse before it got better, but today I can see the light at the end of the tunnel. Or at least the floor in some places. I’m being rather harsh in my clean out, I don’t want to do this again soon. Everything has to earn its space. Especially books. So far I’ve donated 4 bags of books to the library and I’ve got two more boxes of books to donate to the Bay Area Book Artists Sale on Sunday, October 16th. In my studio I have one of those Ikea bookshelves with the squares to divide books. Above is a photo of one of two squares labelled, “Book Arts How To.” I thought I’d share with you the books that I think are worth keeping in my studio and why. Today, the first 5. Note, these are in no particular order of preference. Rather the order they are on my shelf. 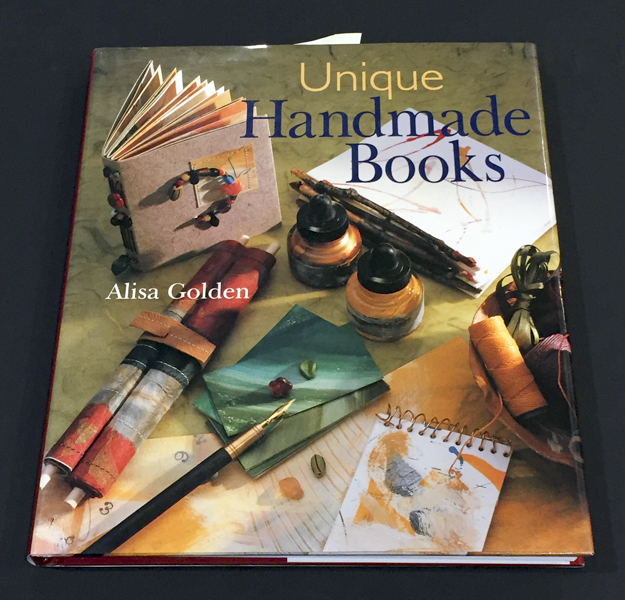 Book Art Studio by Stacie Dolin and Amy Lapidow. The primary reason this book gets to stay? The Limp Paper Binding. A variation on the traditional Limp Vellum Binding. I haven’t tried it yet so the book goes back on my shelf. This book deserves shelf space for the gallery. Here two of my favorites by Elaine Nishizu and Judi Delgado. I keep this book for The Raven’s Foot Binding. It is a fun and unusual binding and well described here. 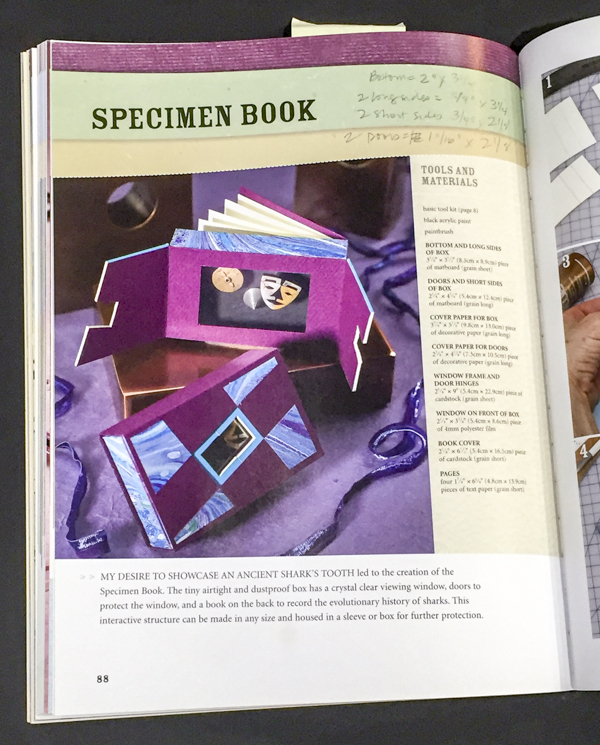 While there are instructions about how to make books, this one gets to stay as a catalog of Peter and Donna Thomas’ artwork. Here one of my favorites, The Trout. And Drumleaf Bindings, bindings created by applying glue to the spine. Neither of which I’ve done, but both of which look interesting and useful. Next week, the next five. On a personal note, the wedding in Virginia Beach was wonderful, beautiful, sentimental. We’re still smiling from the joy we shared with Samantha and Jeff. We also experienced Tropical Storm Hermine which turned out to be stormy enough to create some challenges for the bride and groom but also disappointing after watching all of the weather channel doom and gloom. For fun, Greg and I went to the coast at took some Hermine selfies. Here is my favorite. Have you ever gazed at images of perfect studios? You know the ones in magazines that are impossibly beautiful and organized? I often wonder about the palette (wall colors, not painter’s tool…) chosen and whether it fosters creativity or is distracting. Does it compete with the art making and finished art or highlight it? 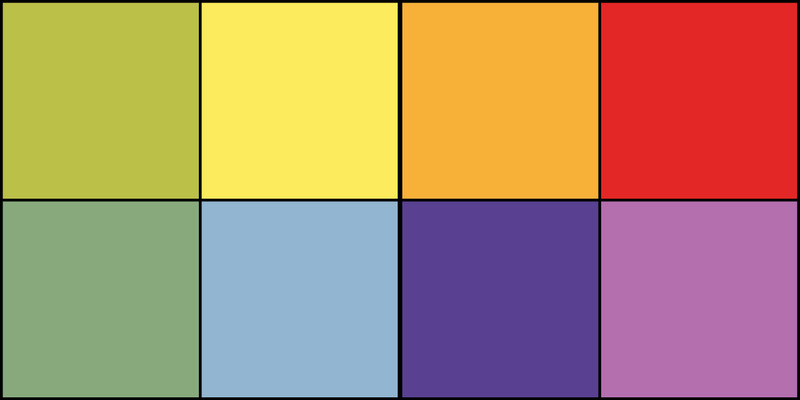 One of the most viewed blog posts I’ve ever written was on the color of one’s studio and which colors facilitate creativity. I was building my own studio at the time and doing research. 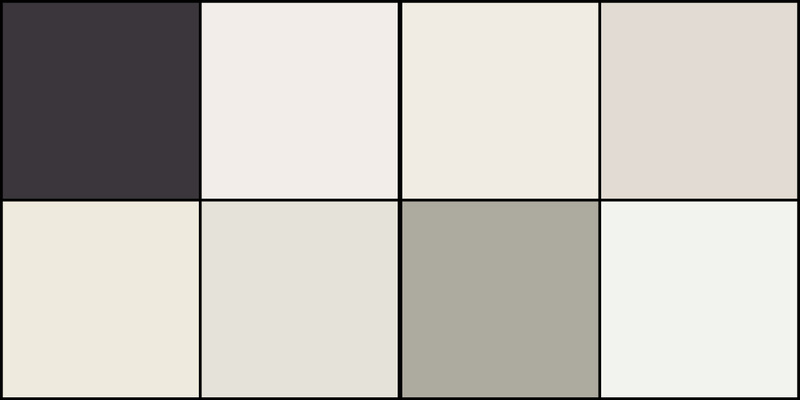 In the end, I went with white walls and a neutral floor color. Everything in my studio is white or natural wood, even the curtains are a natural and restful blue. Except that it isn’t. My studio is a cornucopia of texture, color and projects (or a rampant mess, depending on my mood…) I’ve got photos, artwork, inspiration, supplies, books, stacks, etc. adding color everywhere. I suppose you could say that my studio is actually every colored. 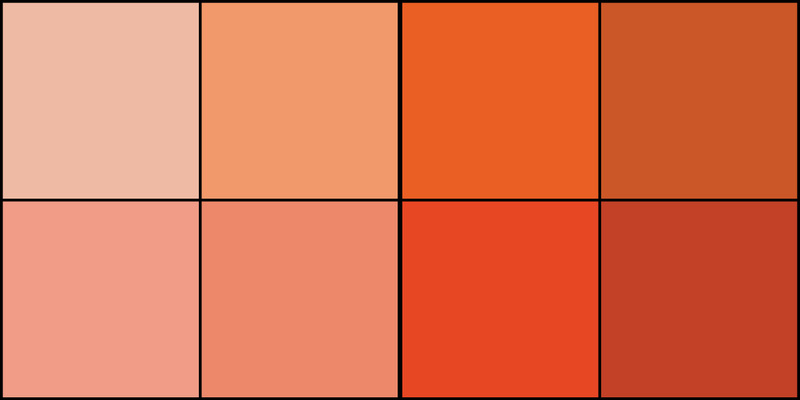 As an extension of the original post, which you’ll find here: While We’re Talking Paint Colors, I asked artists that I know through the Bay Area Book Artists about their studios and colors they’ve chosen, or not, and why. Here, in no particular order, are their replies. 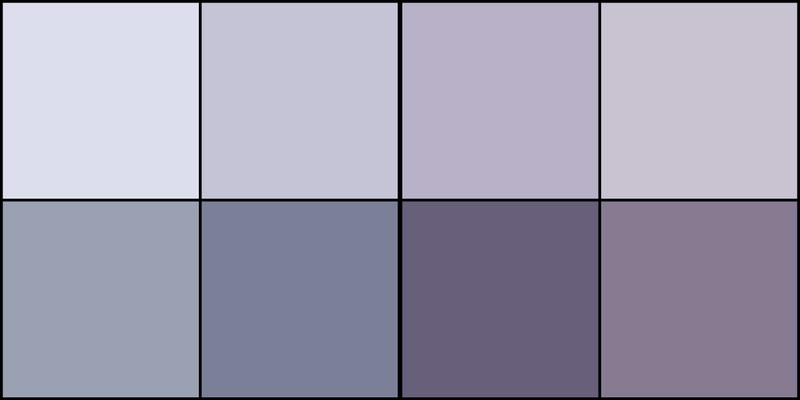 My studio is blue based purple tinted out to a lilac color for walls and trim. 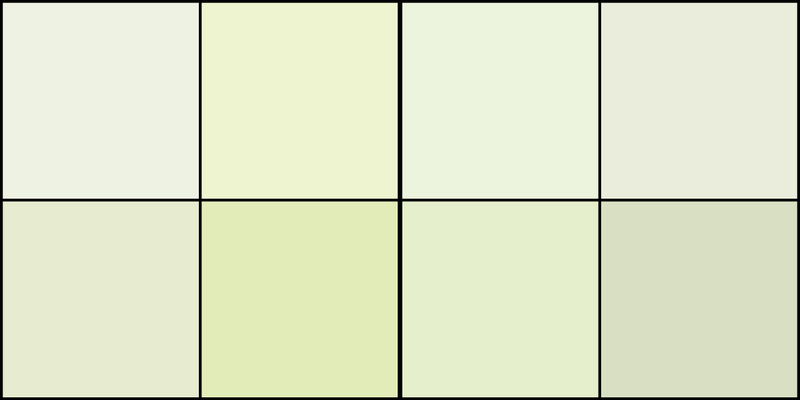 Grey based white ceiling to reflect light back down into space, and flooring a light green. There are accent colors in all of the colors of the spectrum introduced in art work and assemblage pickings. Surrounding rooms are a saturated grey because it is wonderful to display artwork on. – Rhonda L.
1. My studio, as well as my entire living space, has white walls. 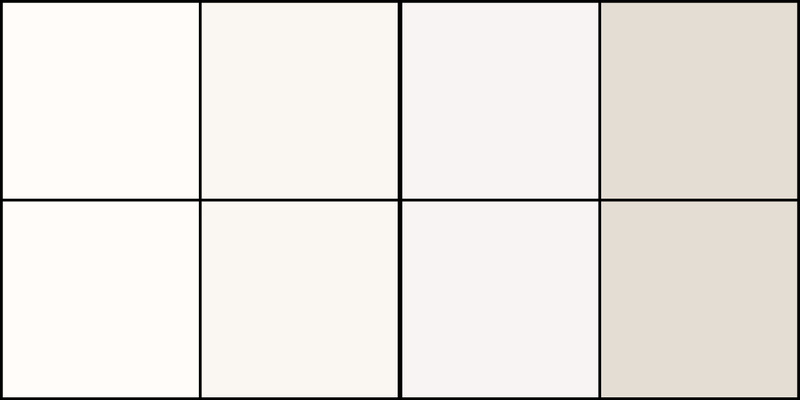 I respond to emptiness, which white represents for me. The invitation of emptiness allows me to put up drawings, paintings, pieces of ephemera, words, and photographs that provide stimulation for creativity. 2. I feel that my creativity stems from a quiet center, and in order to have that quiet center, I need an interesting visual space. It’s almost as if the first creative act is to take the white walls, and begin a “room collage” of imagery that appeals to me, and once I’m ensconced in the arms of the imagery, my deepest creative place gets activated. This may look like clutter to others, but there is purpose, movement, order and balance to my eyes, and this is how I journey back to my center. 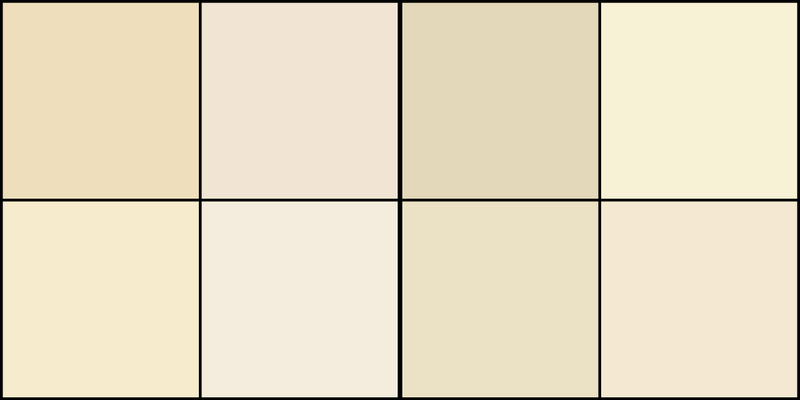 – Karen K.
My studio walls are the color of leaves with a cream ceiling. My studio has windows on two walls and looks out on to the garden. I like the sense of working in the great outdoors, it makes me happy. That being said, the walls have lots of art, books and stuff on them, so the true sense is a garden that’s gotten outta control. It keeps me stimulated. (Raesofsun.com) – Rae T.
My studio currently has white walls and ceilings, with neutral to black surfaces and furnishings. It’s calming and visually quiet environment so that I can both work and play here. It’s not stark, as there are areas of creative clutter, but the overall space is peaceful and inviting for making art. The best moments are when I turn on some music and put my phone on silent. 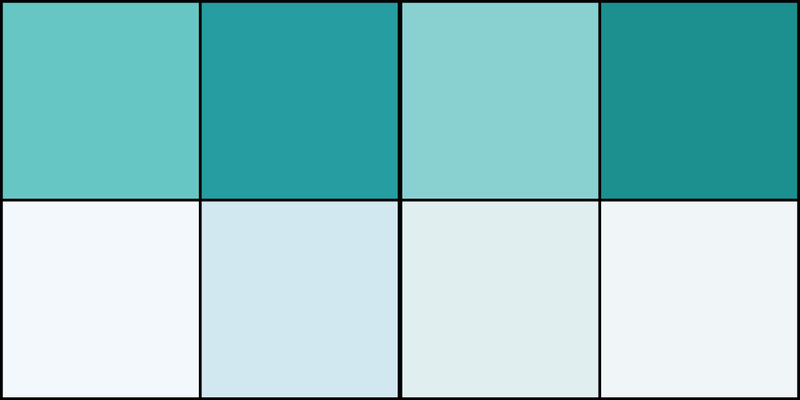 – Karen C.
My studio is Tiffany blue with white trim. I work full-time at a hospital, and this color helps me forget my day. I can think better at my studio. When I sit down to create, it usually never takes longer than 10 mins before ideas start to flow. – Linh D.
I don’t really have any colors. Behind me is floor to ceiling shelving with supplies. To my left is a huge cabinet with wood doors, though often they are open showing more supplies. Next to that we have the television sitting in a brick fireplace. In front of me, is mostly my huge iMac honestly can’t see much beyond it. (It’s new. 🙂 yay) and off to the right is an open area that turns into the kitchen area, again mostly wood cabinets there’s very little wall in the whole room, what we have is the same white as when we moved in. So I’d have to say my studio is “art supply” colored, mostly vintage paper and books. And the matte aluminum of my epson r2400 and iMac. I wish it were prettier like those spreads you see of people’s studio. I had Kit come help me organize it, but frankly, I work chaotically, and don’t have lots of energy to tidy up after, so everything is a massive pile of paper I’m working with, loosely held in clear plastic tubs. (Kit pointed out that I like to see what I have or I forget I have it, so clear tubs work great). I was raised by my Gran who liked need and tidy, so I always feel a bit of shame in regards to my work space. (https://www.flickr.com/photos/violentbloom/10355425414/) – Raven E.
My interior studio walls are warm white and with tomato red /orange accent walls and maple shelving with views of trees out my windows. My studio is a relaxing environment which sparks my creative energy. 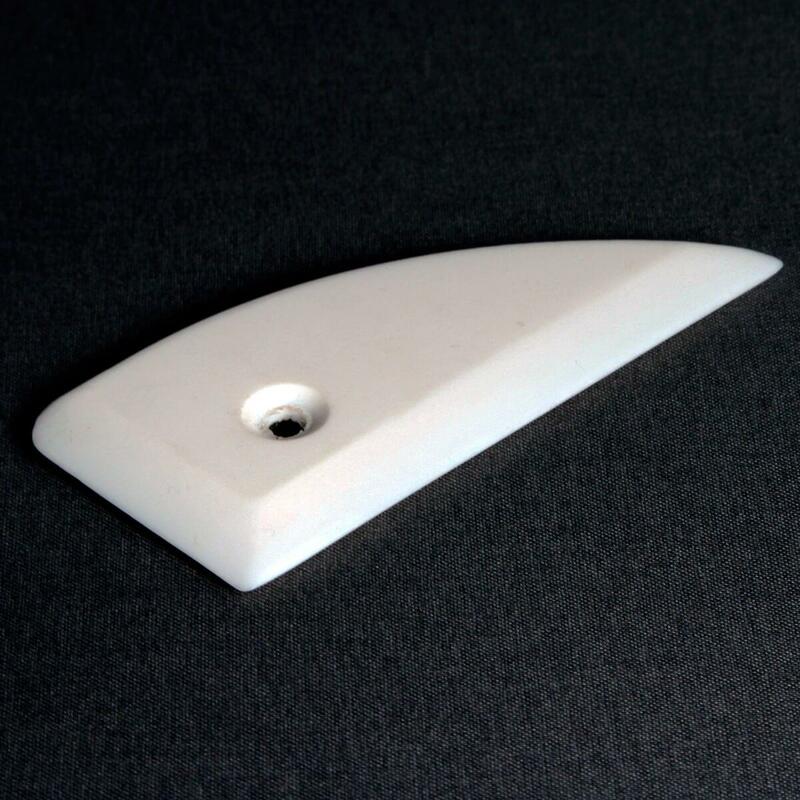 – Bernadette C.
I painted mine an ivory-white. Warm tone supports good vibes. Also good lighting helps. I have sky lighting plus warm light bulbs for night work. Has been great since 1984! ~ Jone M.
How color affects one’s creativity is a good question. I prefer white walls in a studio. I like to use colors and a placing a painting/print etc, against a white surface gives me the best idea of the true color, i.e. there is minimal color interference. 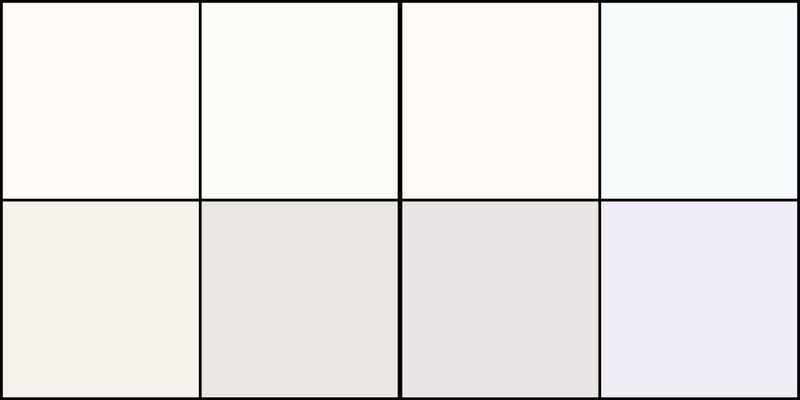 I even prefer a white palette and ink rolling surface for that reason. Also white walls reflect light best. 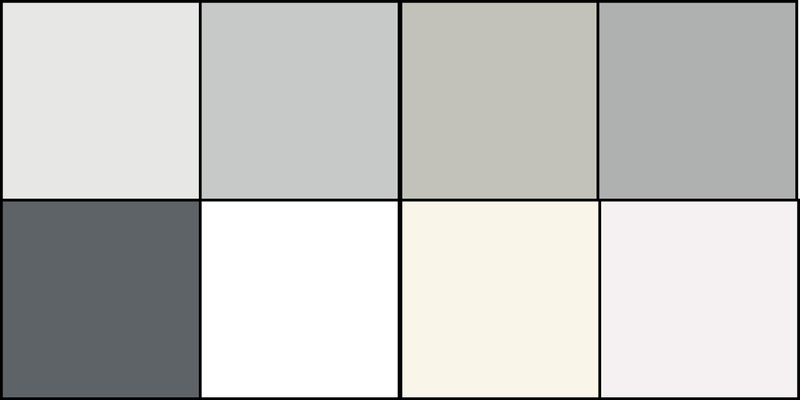 If I had my choice I would have one wall be a pale ‘photo’ grey, neither warm, nor cool, again for minimal interference with true color in a painting, print etc. BUT the best psychological stimulus to my creativity is having plenty of Northern light. Artificial light is a downer for me. – Conni R.
My last studio had knotty pine walls, very warm but too dark. I couldn’t bring myself to paint them because they were beautiful wood. I like a lot of light, from windows if possible, with no shadows under my hands. My new studio has slightly warm, white walls, our landlord’s choice. But it’s working well. I like the brightness. I feel most colors on the wall would bounce onto whatever I’m working on and have an effect. Later in a different setting my finished art would not be the color I want. My table tops are a light grey, I prefer my grey cutting mat over the dark green one most of the time, too. I think these simple colors create an environment that makes me feel like it’s a good place to be making things. ( judithhoffman.net) – Judy H.
My studio walls are white but you can barely see them. The walls are covered with every color possible of artwork and art supplies. This colorful atmosphere is what charges and inspires me. For me “more is more” in every sense of creativity. (http://lifeasafiveringcircus.blogspot.com/; http://www.doritelisha.com) – Dorit E.
In my studio I keep pretty neutral with color and have a Navajo white which has some warmth to it and grey. It makes a great backdrop for all colors and does not intrude. It keeps the space clean without being sterile and helps keep the light level up. 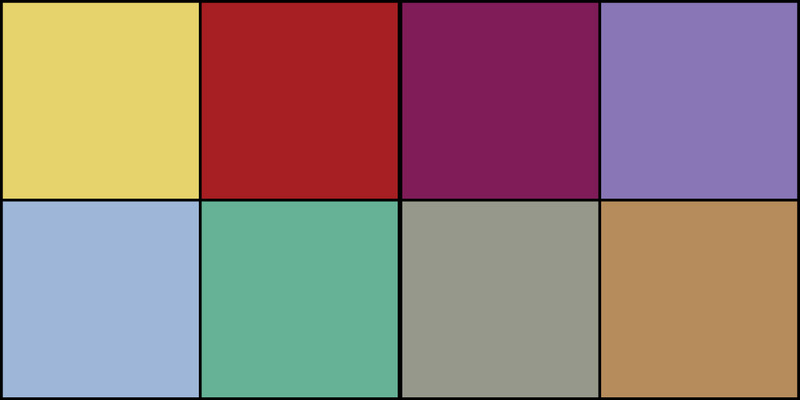 The color is in all the inspiration pieces I have around. My artwork, objects that inspire, plants, and fabrics hanging on the walls or on shelves. There are a lot of natural items…rocks, wood, dried leaves and pods that warm up the space without effecting other colors. 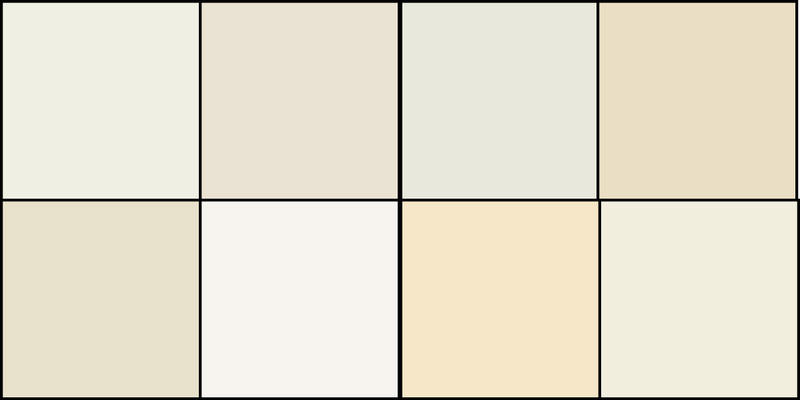 – Karen R.
What color is your studio? Or what color is your dream studio? Have you changed your studio color over time? If so, why? Please share in the comments! Thank you again to the artists in Bay Area Book Artists. They are a tremendously generous group and always willing to share their thoughts and ideas.